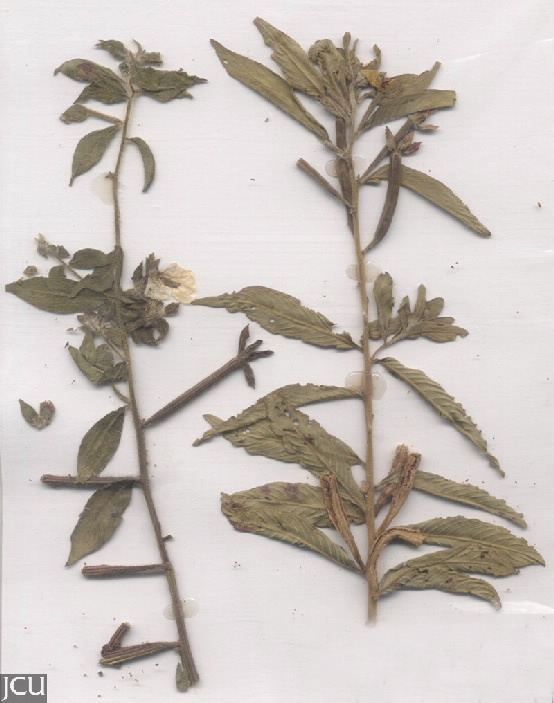 An erect often much-branched herb, it usually grows to about 1 m tall but may be much taller. 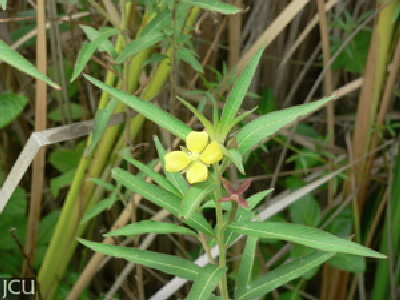 Found in moist areas, leaves are alternate, to about 15 cm long, flowers with 4 yellow petals and 8 stamens and an inferior ovary. The terete capsule is usually up to 4.5 cm long but length varies between 2 and 5.5 cm long.